99.9% of our wedding guests came from out-of-town. Seriously. Harvey and I plus one of my bridesmaids are the only ones who live in the area. For that reason, we wanted to do a “Welcome” for them. 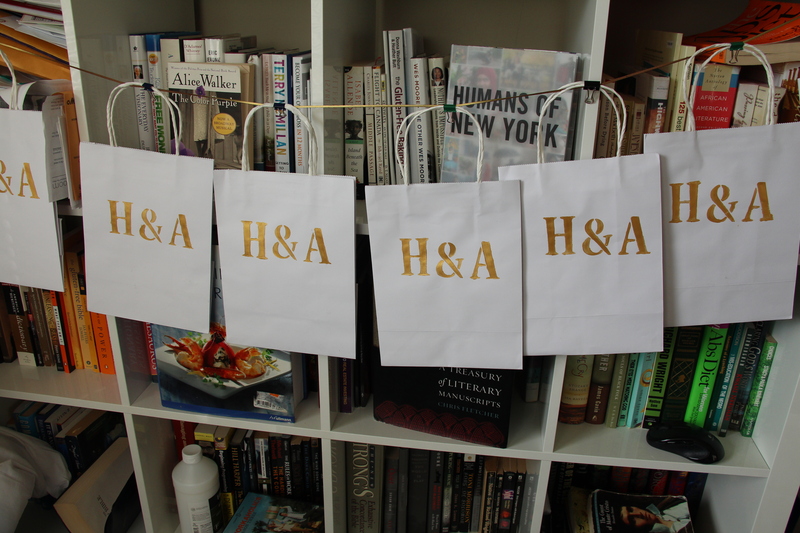 The quickest, nicest, and easiest solution was hand-made gift bags. Trust me, we looked at the pre-made versions but like you know…we were on a budget. I went to the Dollar Store and got about 30 white gift bags. They came in sets of 2 for $1 each. We only needed 25 but I got some extra just in case. We decided to do one gift bag per room. To give the bags a more personalized flair, I hand painted…yes…hand painted… our initials on the front using a stencil (sorry for the dark pictures; these bags were done late at night after work). 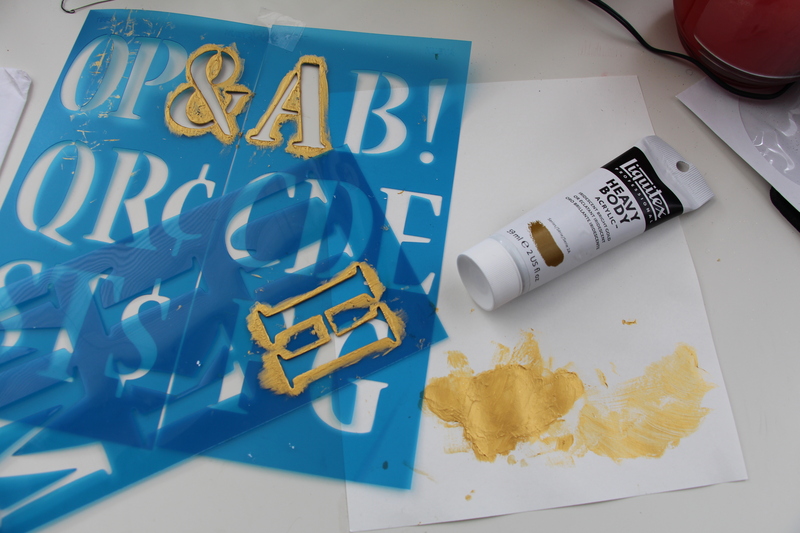 The paint color was a metallic antique gold that matched our wedding color perfectly. We were wondering what to put in welcome gift bags for out-of-town wedding guests. We decided that food and something useful would be the best option. People don’t need a lot of knick-knacks in their carry on taking up space. These were filled with snacks, water, personal pack of tissue, the shuttle schedule, and a “Do Not Disturb” door hanger. The snacks and water were from Costco in the large packages. The snacks came in a pack of 40 and the water a pack of 35. It was really perfect. And the final result? Are you planning on getting welcome bags for your guests?